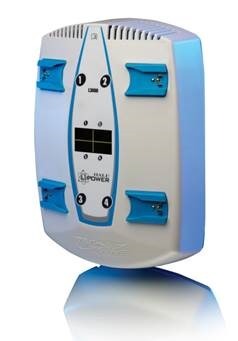 ALPHARETTA, Ga., May 29, 2013 – ConMed Linvatec, a leading global supplier of arthroscopic devices, multi-specialty endoscopic medical video systems, and powered surgical instruments, has developed the industry’s first UL-approved autoclavable battery. The Hall® Lithium Battery system, which powers surgical tools for reconstructive orthopedic procedures, features a battery housing made of AvaSpire® polyaryletherketone (PAEK) resin from Solvay Specialty Polymers. The recently introduced L3000LG version of the Hall® Lithium Battery System represents the latest in battery technology for powered medical instruments. Its Lithium-powered performance provides nearly twice the power of standard batteries¹ for uninterrupted use during demanding procedures. The novel battery system also provides significantly longer battery life and product life than standard batteries¹, resulting in greater cost savings. It is 25% lighter than standard batteries¹ and designed with environmentally acceptable materials for recyclability. The battery has the ability to be immediately autoclaved with other instruments in a single tray, unlike standard batteries¹. AvaSpire® PAEK is used to injection mold the black rectangular enclosures which measure 3.5-in (8.9 cm) high, 3.25-in (8.25 cm) long, and 2.5-in (6.35 cm) wide. AvaSpire® PAEK is capable of withstanding an autoclave temperature of 134°C (275°F) and is chemically compatible with aggressive hospital disinfectants and cleansers. The high-performance 30% glass-filled grade of AvaSpire® PAEK provides high strength, ductility, and impact resistance, along with a UL 94 V0 flammability rating at 0.8 mm. “While AvaSpire® PAEK provides high performance in this innovative new battery system, it is the product’s unique combination of properties that sets it apart from competitive materials,” said Mike DeCesare, R&D engineer for ConMed Linvatec.The three-piece battery pack consists of a lever and two enclosures made of AvaSpire® PAEK which are welded together. ConMed Linvatec expects to use AvaSpire® PAEK in similar lithium battery designs including the L3000SM model which is scheduled to be launched next year. AvaSpire® is a versatile family of polyaryletherketone (PAEK) resins that are tailored to provide new and unique combinations of performance and value. The AV-600 Series delivers a range of distinctive performance attributes with some grades offering more attractive economics when compared to PEEK. The AV-700 Series offers comparable performance to PEEK at up to a 30% lower cost.